PLUSCO 109 Economy Grade Tool Joint Compound is an economical tool joint and drill pipe compound. 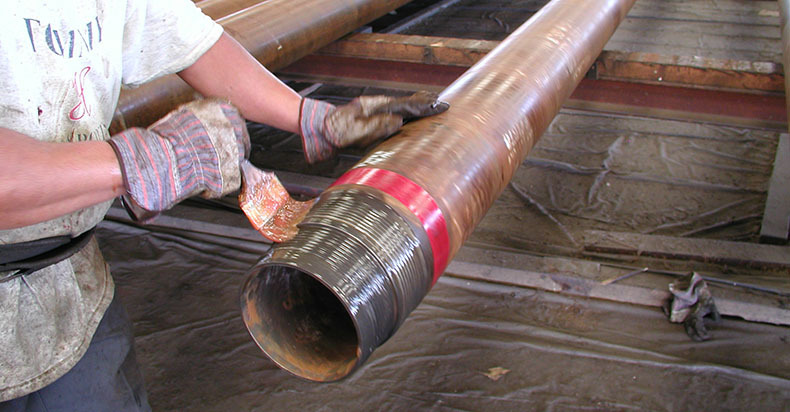 It is designed to protect drill pipe, rotary shouldered and other tool joint connections during medium depth drilling operations. PLUSCO 109 Economy Grade Tool Joint Compound sticks to wet connections, resists washouts, protects against corrosion, galling and seizing during make-up. PLUSCO 109 Economy Grade Tool Joint Compound does not contain lead or any other hazardous materials. PLUSCO 109 Economy Grade Tool Joint Compound contains rust and corrosion inhibitors. It also resists water and moisture intrusion during periods of non-activity. PLUSCO 109 Economy Grade Tool Joint Compound is often used as a lubricating and anti-corrosion compacted on pipe threads. PLUSCO 109 Economy Grade Tool Joint Compound protects from thread damage to tubing, casing, drill collars and drill pipe when applied to threads for non service conditions.